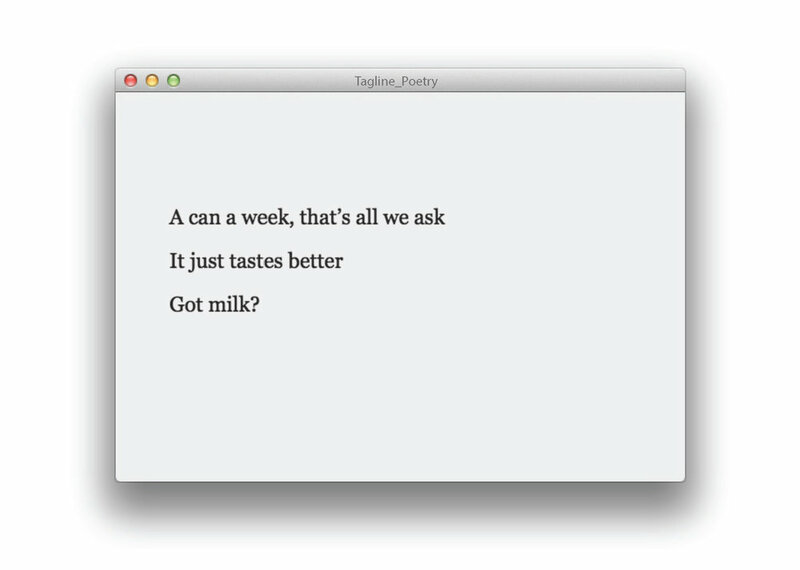 Please click [HERE] to create a new tagline poem. You may take a screenshot of the one you like and send it back to me for the collection of poems which may be published in a future. About: This application that takes renowned advertising lines and, with a single click of a computer mouse, shuffles them into accidental three-liners. Shuffled into accidental three-liners these well-known taglines become a Haiku-like poetry; One of an awkward optimism, ambition and contradictions. 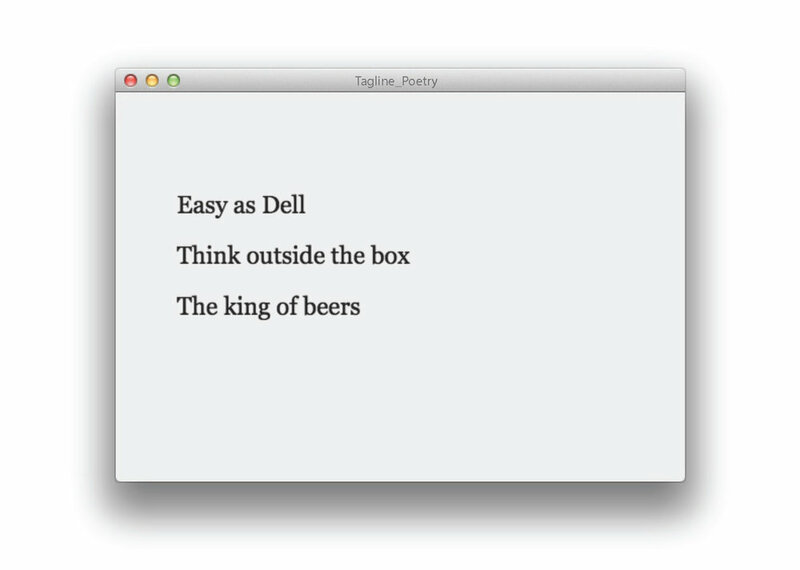 Just like Haikus, these new tagline poems are folded in meanings and alternate suggestions that evolve only through contemplation and offer a new appeal for the business of taglines.